In this album I tried to catch the atmosphere of the 12 months of the year, being aware of the fact that the subtitles refer to the climate of the western European countries. On a scale from 1 to 10 the level of difficulty is between 2 and 4. 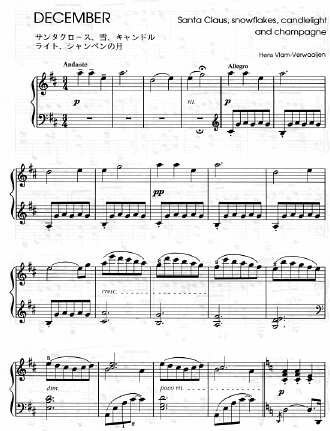 The theme is built with only 4 notes: A-A-A-E. 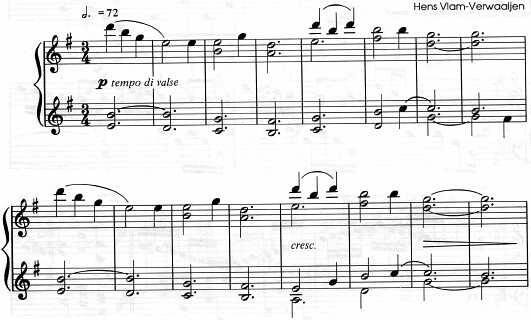 The rhythm is derived from Chopin's prelude Opus 28 Nr. 20. Was originally written for my neighbours after they had lost their beloved little dog. Was in fact a wedding-present for a niece in the U.S. who had just visited Holland in that particular month. If you listen carefully you may hear a faint tune reminding you of a Dutch Santa Claus song and a few bars of "Holy Night" as well. 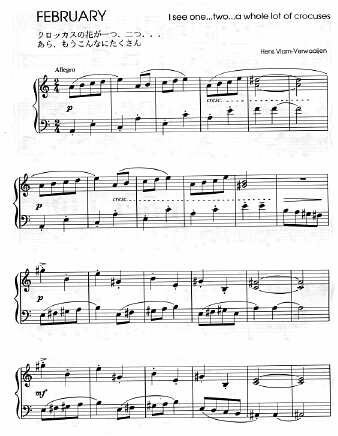 The first notes, representing letters of her name, form the main theme, which pops up now and then throughout the composition.